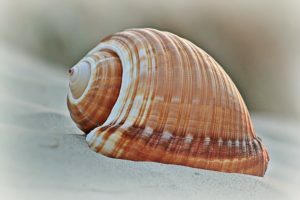 Red Shell: Opting-out of the opt-out? Given Cambridge Analytica, Wikileaks, and the Sony hacks, the internet is on privacy red alert. The games industry is currently up in arms over “Red Shell,” found in many Steam games, but what is it? If you listen to game developers and Red Shell itself, Red Shell is an innocuous marketing attribution tool. By generating a unique token from device information, including the operating system, browser version number, screen resolution, etc. of a user, and matching that token with those from marketing campaign clicks, developers can determine which campaigns led to purchases and which did not. Red Shell states that it does not sell data to third parties, and does not track data across games. If you listen to the voices of the internet, Red Shell is spyware, tracking your every online move to sell to third parties. But as mad as players seem to be at Red Shell, they are even angrier at the developers—calling the implementation of Red Shell a “disgusting breach of trust,” uninstalling their games, and threatening to never buy from the studio again. For most, it comes down to disclosure. Yet the studio behind the game that inspired the largest advocacy post on Reddit, Daylight Studios, seems to be the only developer that did announce Red Shell’s implementation. Red Shell insists its anonymized data is not considered personally identifiable under the GDPR, but still recommends that developers provide gamers with notice of the integration, and the option to opt-in or opt-out. If Red Shell’s collection is “personal data,” the games may have violated the GDPR by not providing players an informed choice to opt-in to Red Shell. Daylight Studios, like many studios coming under fire, removed Red Shell after player backlash, but also expressed frustration. With the number of games being released on Steam, success requires visibility. Visibility through marketing requires time, money, and resources, and without tools to measure a campaign’s success, studios are forced to drive blind. Daylight Studios plans to reintegrate Red Shell or another analytics tool in the future with an opt-in approach, but it is unclear if players will accept this. Currently, anyone can opt-out through Red Shell on a game-by-game basis using the unique token assigned to their device data, or globally with a browser cookie, here.